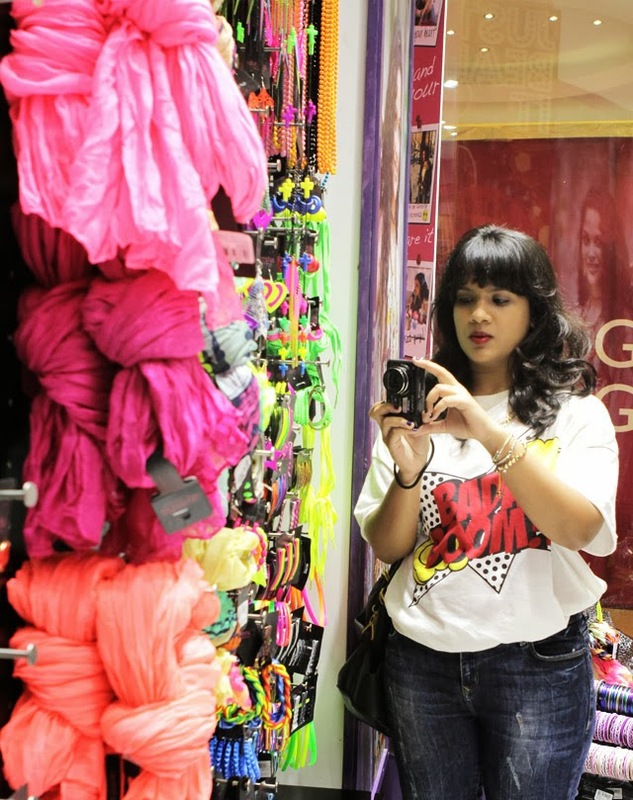 Last week, I had the wonderful opportunity to be at the 'Just Bead It' event of Ayesha Accessories which was held at their Grand Galleria store at Phoenix Mills. 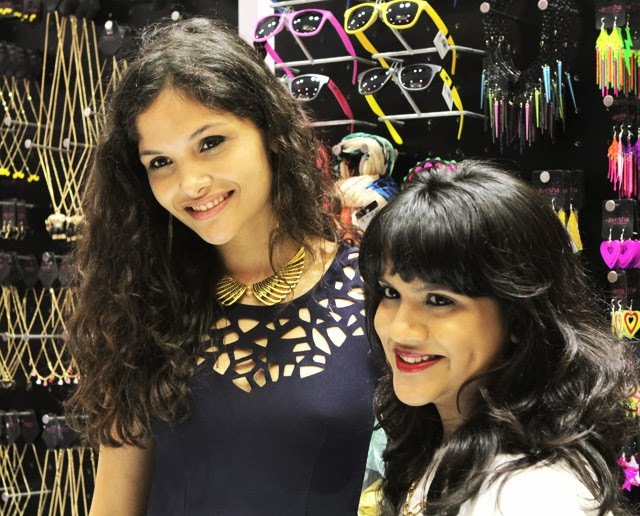 Along with that, the founder and pretty face of the store, Ayesha Kapur was also present, flitting around and graciously attending to everyone there. 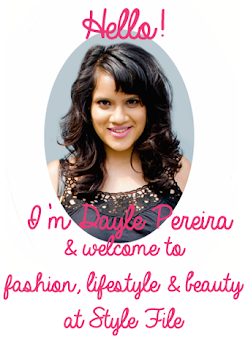 I had the chance to take five and chat with her about the brand, which started in 2010. She spoke about her love of Bollywood *don't we all remember her as the adorable little girl in Black? * and what drives her to work on her collection. I asked her about the distinction in her accessories for different seasons and she spoke about how the new winter collection has more edgy pieces like skulls and crystals which differ from the neons and brights of the summer.When it comes to choosing her favorite piece from the store, it is impossible for her because she just can't choose! Verging on being a neat freak myself, I like that fact that the various segments of the collection were organized into different sections like Pastels and Metallics. 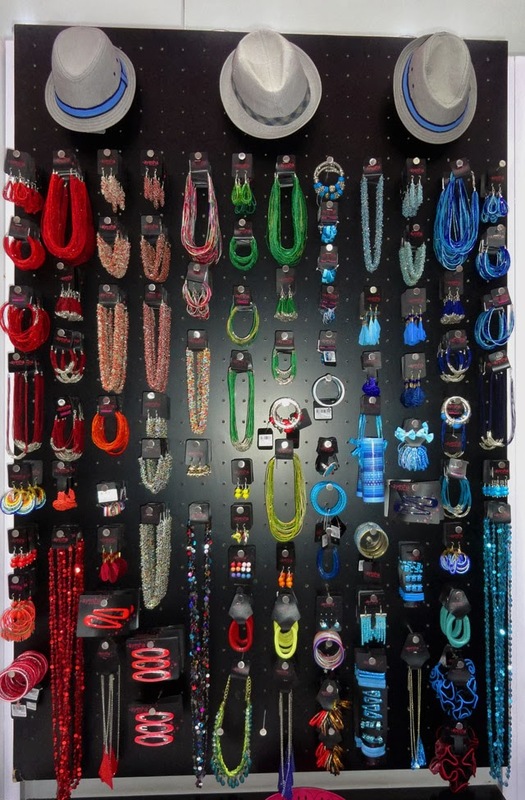 A previously unknown fact about the brand is that they house a mens accessory brand called 'Unknown' in their stores which includes trendy leather and beaded pieces for men as well so even if the girls go shopping, the men don't have to stop! 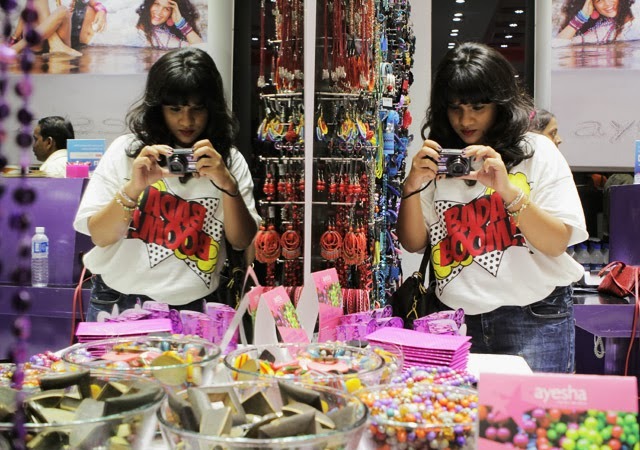 The accessory range, which includes scarves and hats is priced at Rs.99 upwards which makes it accessible to everyone and the style of the collection is such that it will relate to the young crowd. The best part of the evening was at the DIY station. Th Ayesha Accessories store had a DIY station with strings, beads and baubles of all kinds where we had to "bead it" and make our own accessory! A DIY fan myself, I had a blast stringing together a blue toned necklace and will be sure to wear in an outfit post soon! 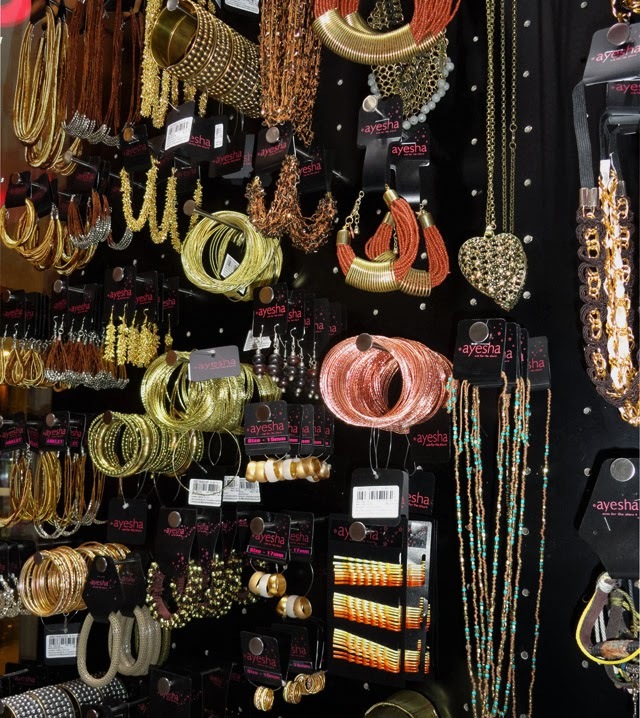 And the best part is, the DIY station is even open to customers on regular days so that they can come in and bead away! With all that taking place, it definitely was a fun time with some great ladies, mocktails and pretty accessories all around!